The museum store is located at the main entrance of the gallery. 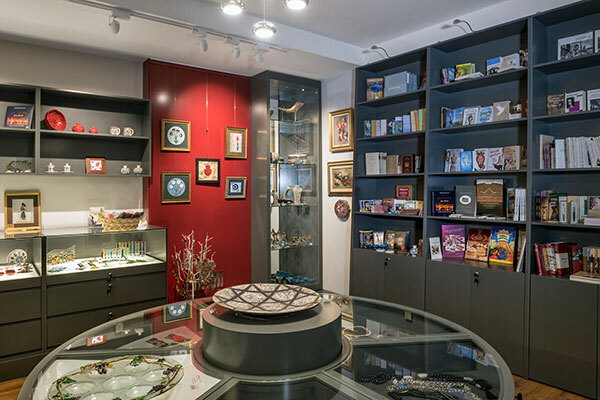 In the museum store, catalogs of the exhibits in the museum, books and music CDs in the Judeo-Espanol language, specially designed jewellery and Judaica related objects are offered to visitors. In addition, gift items that can also be used to meet corporate needs, and inspired by objects in the museum collection as well as in temporary exhibits, can be found in the museum store.